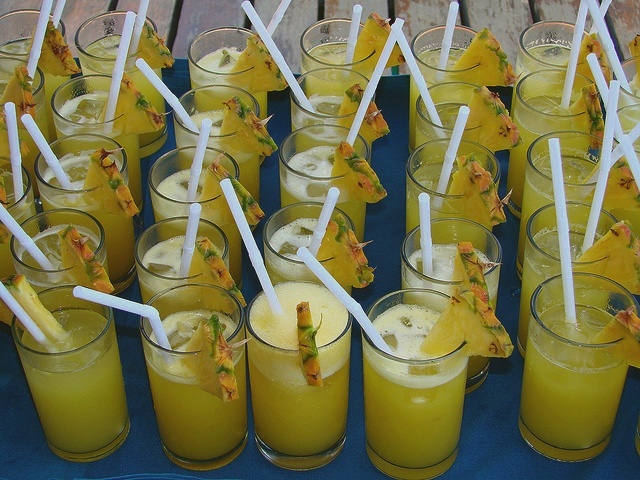 Refreshing tropical drink for warm weather. This drink is especially refreshing on a hot summer day. Pineapple Juice Drink. Put sugar into a bowl. Pour freshly boiled water over it. Stir till sugar dissolves. Cool. Grate pineapple and squeeze juice into a bowl. Strain juice and syrup into a glass jug. Add clod water and mix well. Taste. You may use 1/2 sour sop or one cucumber and one lime in place of pineapple.